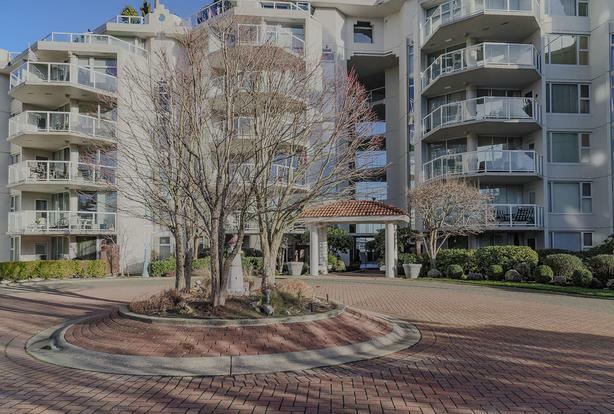 Welcome to this spectacular 3 bedroom/2 bathroom corner unit condo featuring a beautiful open concept living space with large windows to allow in tons of natural light and the city views. With 1328 sqft, this is one of the larger units in the building. From the gorgeous kitchen with tons of cupboard and counter space and stainless steel appliances, to the dining space perfect for entertaining, to the spacious living room with a beautiful natural gas fireplace, to the three large bedrooms, each with an amazing view, to multiple patio spaces perfect for outdoor living, this home is designed for someone looking for easy access to the breathtaking Nanaimo Harbour. Steps from the Harbour Boardwalk, Port Place Mall, restaurants, and major amenities, this home is one you will definitely want to check out. Measurements are approximate, please verify if important.